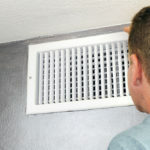 Q1: How long does it take to clean my Air Ducts? Every job is different, and every home is unique. The basic annual cleaning takes about an hour per unit. More thorough cleaning we estimate to take around 2-3 hours per unit, however, we would not be able to tell you until our friendly and professional technicians arrive on the scenes and actually take a look at your HVAC systems. Q2: How does air duct cleaning work? Q3: Is it true that getting my air ducts cleaned can help reduce my AC bill? Yes! Think about it like this. When there are many people in a room, that room always gets hotter, that is because there are more molecules moving around in one room, and that is what causes more energy to be in the room. When you go to cool a room, if there is less dirt and debris, less of the cool air gets dissipated to that dirt and debris. This means that if you clean your air ducts frequently you may see a dramatic decrease in your AC bill. Q4: What is our phone number?